Our “open classroom” environment provides a challenging and stimulating experience, and fosters great joy in learning as the children make their own choices and discoveries. The Creative Montessori School is a division of the Creative Education Foundation, a state and federal non-profit corporation. The school offers part-time or full-time Montessori pre-school and kindergarten programs in addition to a high-quality, licensed Montessori Day Care program. 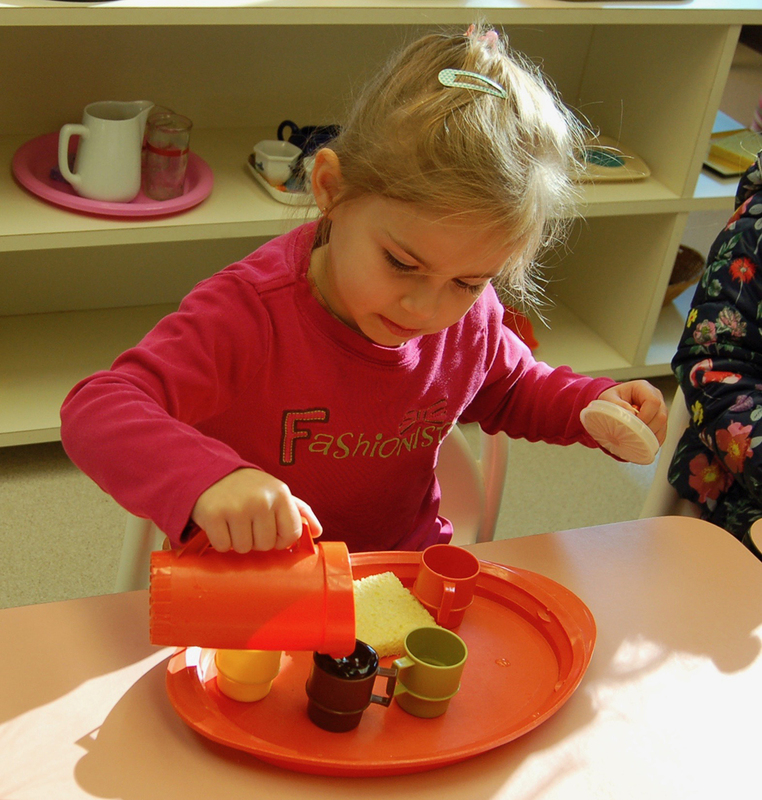 Through the use of Montessori materials, children learn and grow at their own rate and according to their own interests. The children develop independence and responsibility as they acquire valuable social, perceptual, intellectual and physical skills. Our head teachers are Montessori trained and certified. They are also skilled in communication with a positive approach to discipline. We focus on maintaining a stable, experienced staff with a high degree of longevity which assures a secure and safe environment for our children.